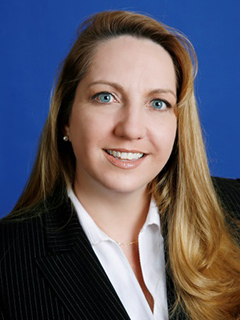 Leslie Dellinger Aceituno joined the University of Miami in 1988 as a receptionist in the Office of General Counsel. In 2017, she assumed responsibility of the Secretary’s Office as Secretary to the Board of Trustees. She serves as liaison between the University’s Board and senior leadership, advising on various strategic and governance matters. She is responsible for providing support, planning, and coordination of important board functions. During her tenure at the University, Dellinger Aceituno rose through various positions in both the Offices of the General Counsel and the Secretary/Board of Trustees, before being appointed Assistant Secretary of the University in 2007. She has staffed the last two Presidential Search Committees charged with finding the fifth and sixth University presidents. She served eight terms as President of the Crossings Homeowners Association Board of Directors and two terms as President of the Courtyards in the Crossings Homeowners Association Board of Directors. She is a member of the Association of Governing Boards for Colleges and Universities and a Notary Public commissioned in the State of Florida. Dellinger Aceituno has a BBA in Accounting and an MBA in Management from the University of Miami, where she was a Miami Business School fellow. Her husband, Luis, is also a double alum of the Schools of Communication and Miami Business School. They are the proud parents of a future ‘Cane, Lawrence, age 5.